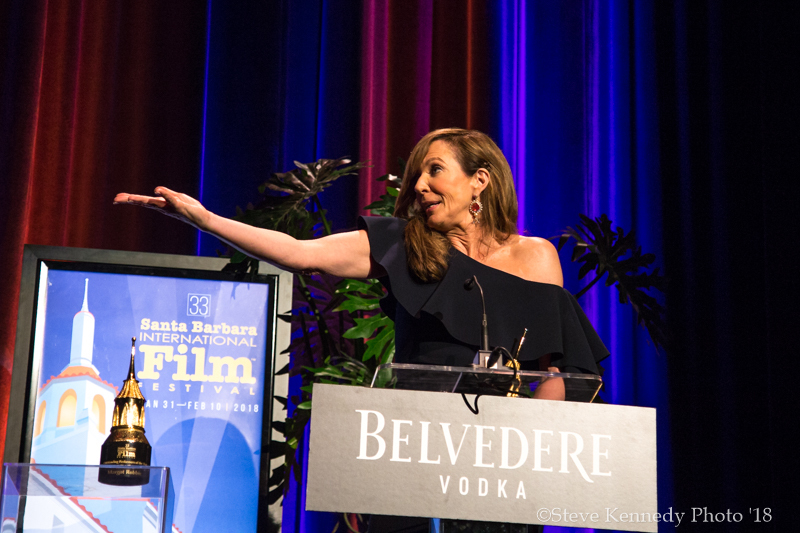 The SBIFF Outstanding Performer of the Year Award is given to actors who deliver the best performances of the year. “Allison and Margot are superstars. 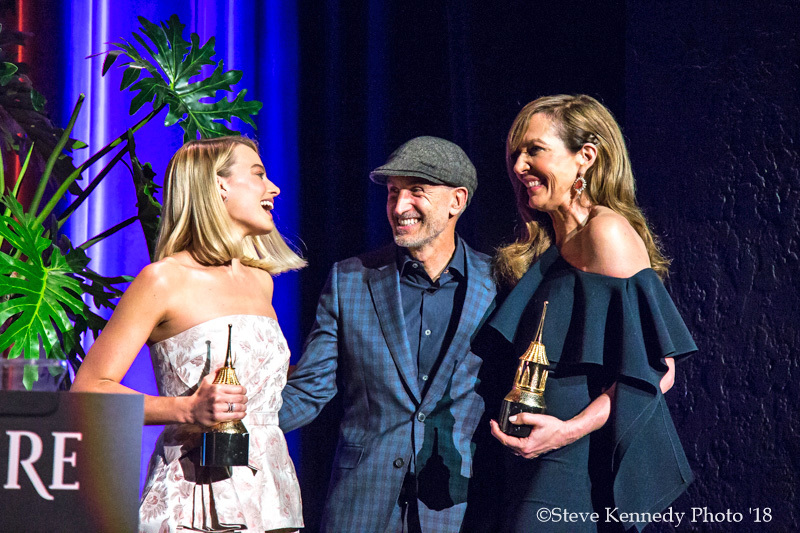 They bring emotional resonance to real-life characters in I, Tonya,” said SBIFF Executive Director Robert Durling. 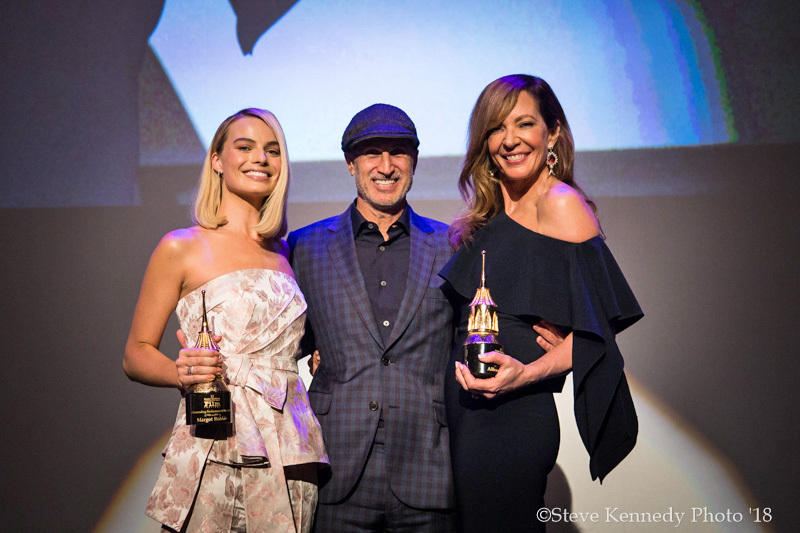 The Arlington Theatre gave a standing ovation to welcome Margo Robbie and Allison Janney to receive their Outstanding Performer of the Year Award. Both actors have also been nominated for Academy Awards. -- Robbie for Best Actress and Janney for Best Supporting Actress. 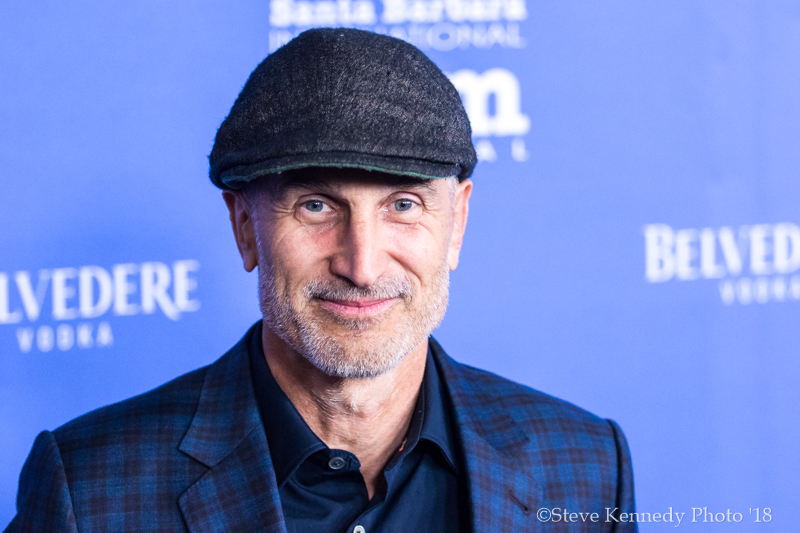 The evening was moderated by Scott Feinberg, Awards Columnist at the Hollywood Reporter and frequent veteran of the SBIFF, who showcased each actor’s film history over the course of the evening. 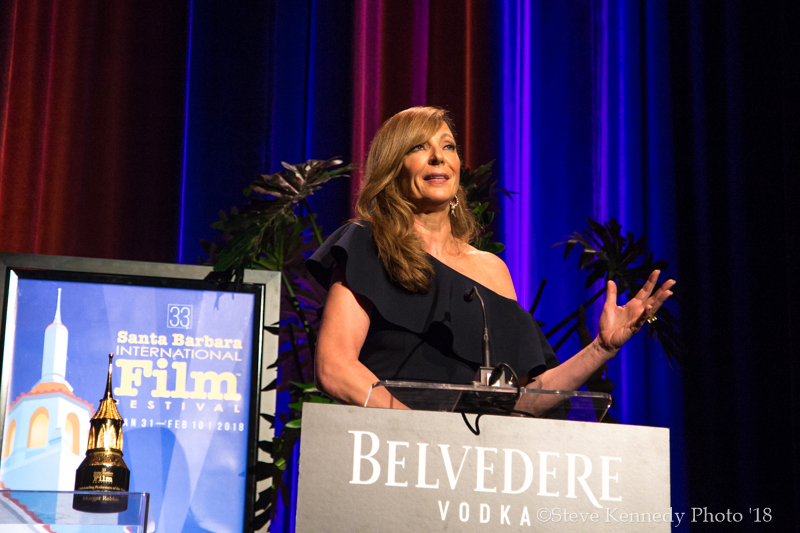 Allison Janney was born in Boston and acted in high school. “I literally can’t remember anything I wanted to do more than ice skating,” she said. 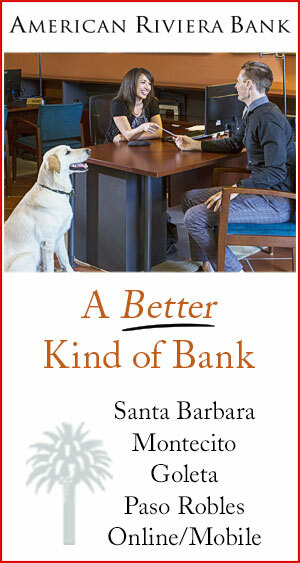 She trained often at a local ice rink that cornered her father’s commercial real estate company. An accident ended her skating dreams, so Janney found herself auditioning for a Kenyon College play directed by alumnus Paul Newman. Soon after, Janney found her way to Broadway, where Arthur Miller’s A View from the Bridge (1998) brought her a Tony nomination. Nevertheless, Janney nearly left acting altogether. A frustrated New York artist, she took a three-day personality test to determine her true talent. “They told me I would make an excellent systems analyst. I didn’t know what that was,” she laughed. 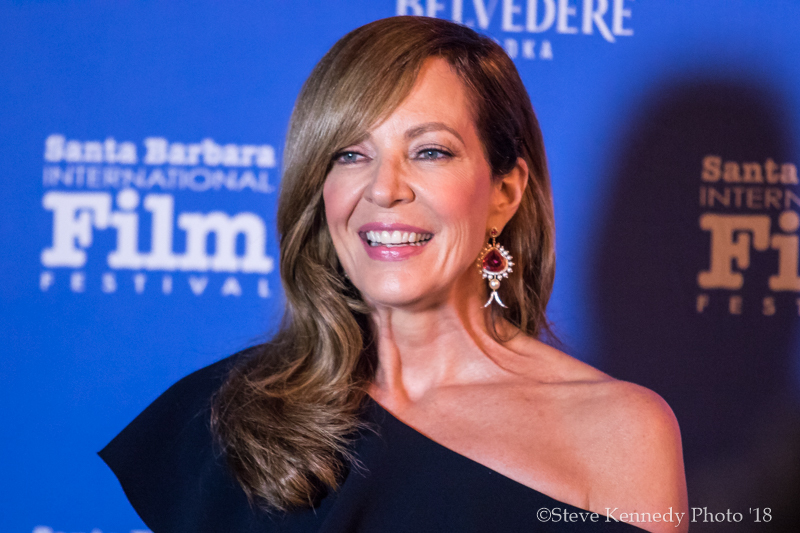 “I still don’t know what that is.” Janney went on to star in such poignant roles in West Wing (1999), American Beauty (1999), Juno (2007), and The Hours (2002). Margot Robbie’s first American film was The Wolf of Wall Street (2013). In her audition, she was asked to improvise with her costar Leonardo DiCaprio. Having originated in Australian soap operas where the script was king, improv felt new. Leo and her auditioned a passionate fight scene, which was scripted to end in a kiss. “I didn’t kiss him,” Robbie confessed. “I slapped him in the face instead. The directors said, ‘That was brilliant! 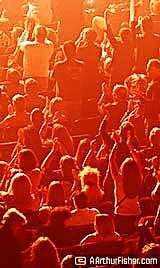 Do it again.’” Needless to say, she got the part. In a red carpet interview with Margot Robbie, she remarked on her dual role as producer and actor in I, Tonya. “Tina Fey told me producing is a lot like planning a wedding. Do the prep in advance, then you can enjoy the day.” Robbie trained 5 months on the ice to become Tonya Harding, then shot the whole film in less than a month, finishing 9 or 10 scenes a day. 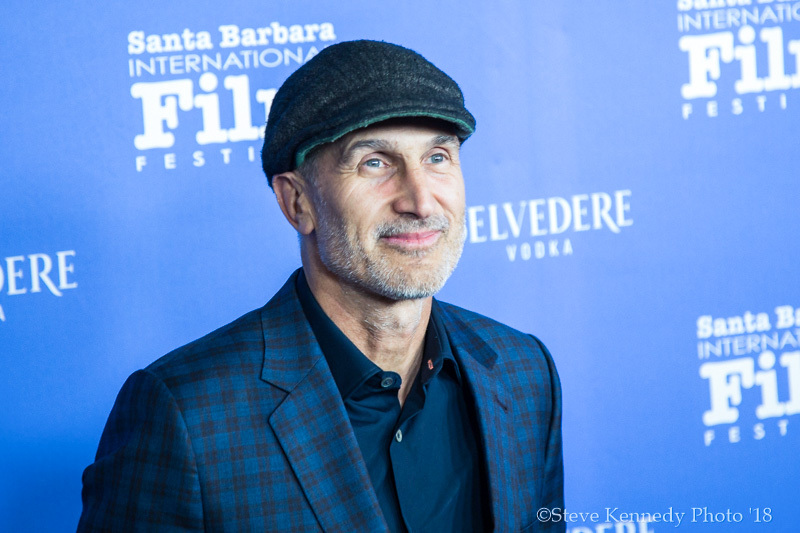 I, Tonya was Robbie’s first produced film through her own production company, collaborating with director Craig Gillespie. Our hearts are with you, Janney and Robbie, and we thank you for bringing us such a poignant film on social class, media bias, and truth. We will look for you at the Oscars next month and be cheering you on as well.